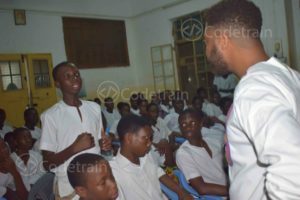 Codetrain had a recent Bootcamp at Achimota School in Accra, Ghana, to educate students about what coding is all about and how they can aspire to be Africa’s Mark Zuckerberg, Bill Gates, Steve Jobs or Elon Musk. Codetrain’s CEO, Richard Brandt told his personal story of how he became a software developer to inspire the students. 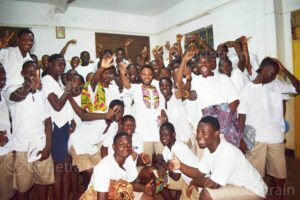 The students were very excited about how software is changing the world and the technologies behind them such as Android, Blockchain, etc. The students learned about how they can become software developers with Codetrain’s practical app development and coding program. One of the students who said he has always been interested in becoming an app developer expressed how the session has been an eye opener for him.